Register for Infant Aquatics Today! 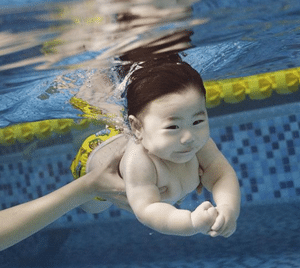 Parents should consider baby swimming lessons in Singapore for your child as early as possible. Not only will infant swimming allow babies to have fun and confidence when learning to swim during lessons but they gain an essential life skill since young. 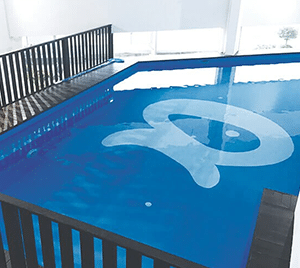 When your infant is about 4 months old, you can enroll him/her into a specially tailored group or private swimming lessons for babies at our indoor heated swimming pool. It is understandable that parents are protective of their newborn baby, concerned and worried for the safety of their child, especially in the water at such a young age. However, this is often a misconception. Infants are naturally pretty good in the water as they already have experience being in their mother’s womb for 9 months. Therefore, for an infant to discover the freedom of buoyancy and underwater swimming, it is not much of a safety issue at all. It is also not in any way a tedious or challenging task. Excellent way to physical, social & emotional development. Precious bonding session with parents. It is natural for all parents to want the best for their child. So, why not invest in them from a tender age? Eventually when babies grow older, they would also have an easier time picking up swimming. It is always good to get your children to start a healthy lifestyle from young. Learn group classes and private swimming lessons for babies from our infant aquatic partner, Happy Fish Swim School at indoor heated swimming pool or swimming complex. 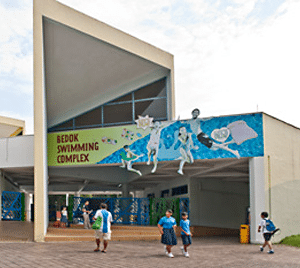 Unlike all public swimming complexes in Singapore, the use of chlorine at indoor heated swimming pool is minimized during pool maintenance cleaning. NASA-patented ionisation technology, MineralPure system and enhanced Ozone (O3) are used instead to cleanse, disinfect the water. With pool temperature being maintained at 30-32 celsius, your baby can get to enjoy the full advantage of the swimming and playing in a warm and safe mineral pool. How many lessons per baby swimming lessons cost? The fees for private swimming lessons for babies at indoor heated swimming pool is for 4 lessons. For group swimming lessons for babies at indoor heated swimming pool, the fees is for 12 lessons (10 + 2 FREE). 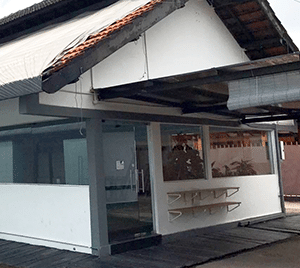 Schedule is fixed for group classes for 12 weeks consecutively excluding public holidays. What is the duration for each lesson? 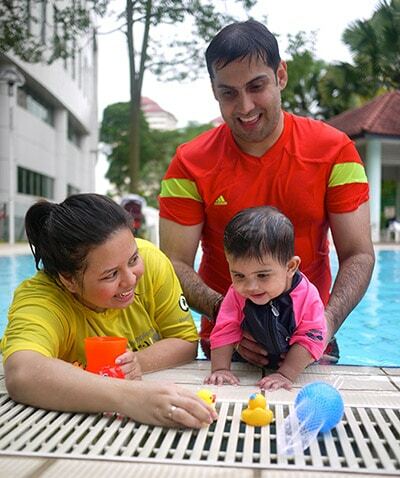 Each lesson is 30 minutes, for both group and private baby swimming lessons in Singapore. Is there any make up lesson for days that babies cannot attend? There are no make up lessons for group baby swimming classes. Yes. Parent will need to be involved during the lessons. It allows good bonding opportunity with your baby. Does baby need to wear diaper during classes? Yes. Swim diapers are required for the babies during the swimming classes.